While American retailers slide into bankruptcy The Carlyle Group increased its bet on Italian fashion brand Twin Set--Simona Barbieri. Carlyle bought the remaining 10% from Barbieri who will leave TwinSet's board and resign from her Creative Designer position. Payless Shoes serves customers with less disposable income. Golden Goose serves the top 0.1%. TwinSet markets its products as "accessible luxury." As TwinSet's co-founder it would interesting to hear Simona Barbieri's take on private equity practices. I'm sure she's experienced much since Carlyle bought 72% of the company in 2012, later upping ownership to 90%. 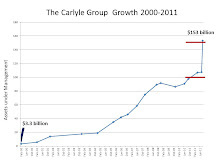 TwinSet took on additional debt to fund a Carlyle dividend in 2014. It's likely Carlyle purchased her silence in addition to the final 10% stake. Update 10-11-17: Carlyle hired new designers for Twin Set, the same week it announced an investment in skater style retailer Supreme.